Dr. Pateder specializes in all aspects of spinal surgery ranging from complex scoliosis surgery to newer muscle sparing minimally invasive procedures. Dr. Pateder is dual trained in neurosurgery and orthopedic spinal surgery and double board certified in spine surgery and orthopedic surgery. 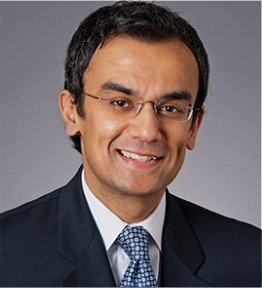 After completing his residency (Johns Hopkins Hospital) and fellowship (Cleveland Clinic), he worked as an attending spine surgeon at the world renowned Steadman Hawkins Clinic in Vail, Colorado. There he was involved in the care of many professional athletes and members of the United States Ski Team. Dr. Pateder has done extensive research in the field of spine surgery (particular with minimally invasive surgery and scoliosis). His work has been presented at multiple national and international meetings and his research has resulted in the publication of numerous scientific articles and book chapters. He has won multiple awards for both his clinical work and research. Dr. Pateder is an instructor of minimally invasive spinal surgery techniques (XLIF, robotic spine surgery, scoliosis surgery, etc.) for other surgeons. He was the lead surgeon in helping Reston Hospital acquire the Mazor Renaissance spinal robotic system and was the first surgeon in the mid-Atlantic region to perform minimally invasive robotic spine surgery. He is also involved in community education and has been featured several times on television newscasts and talk shows to discuss the latest treatments in spinal care and spinal surgery. In addition, he is involved in the designing and improvement of instruments used during spinal surgery. Learn More About Spinal Conditions that Dr. Pateder Treats.